This regularly-scheduled sponsored Q&A column is written by Eli Tucker, Arlington-based Realtor and Arlington resident. Please submit your questions to him via email for response in future columns. Enjoy! Question: I’ve read that home prices in Arlington are up since the Amazon announcement so I’m trying to decide if I should go ahead and sell my home now or if it makes more sense to wait for more appreciation when Amazon employees start to arrive. What is your recommendation? Answer: Amazon’s decision to move HQ2 to Arlington has made an immediate impact on the local housing market and many home owners are asking whether or not they should sell or hold. As with most real estate decisions, the answer is… it depends. 1. Highest One-Year Appreciation? — My guess is that 2019 will be our highest one year appreciation over the next decade barring some other major corporate news. While I do expect Arlington to experience steady growth over the next ten years from Amazon and the “Amazon-effect,” I don’t think the impact will be as extreme as many people fear/hope (see excellent analysis by the Stephen S Fuller Institute). If you’re holding out for 40-50%+ returns over the next 5 years, I’d reconsider your strategy. 2. Better Application of Equity — I think this is the most important, and most personal, reason to sell. If you can improve the quality of your life with the equity you have in your home (early retirement or larger home) or you have a more productive application of that equity (start a business or re-invest), selling now might make a lot of sense. 3. Looming Economic Downturn — There’s always somebody warning of the next economic doomsday, but consensus seems to be building that we will face an economic downturn within the next two years. The potential for an economic shift is much more important if your decision is between selling now or 2-5 years from now vs selling now or 10+ years from now. 4. Your House Needs Work — Supply is so low right now, and demand so high, that sellers can command premiums on their home even if it’s lacking in updates or curb appeal that may have made a sale difficult in the past. 5. 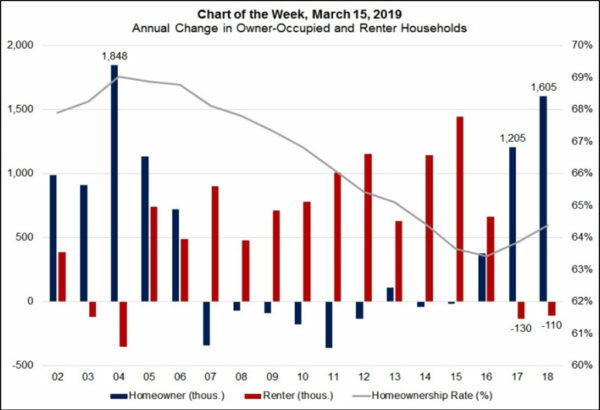 Condo/Townhouse Owner — Condo and townhouse inventory is down over 50% in each of the last two quarters compared to the prior year, a significantly higher drop-off than single-family homes. Over time, the County should be able to facilitate more supply of condos and townhouses through up-zoning so this may be the best time to sell yours, especially if you own a two-bedroom where year-over-year inventory is down about 60% the last six months. Question: My condo association carries an expensive Master Insurance policy, but my lender is requiring that I purchase my own individual policy. What coverage do I gain from the individual policy that the master policy doesn’t include? Answer: Every condo association has its own (expensive) Master Insurance policy to cover the common elements, but there are substantial gaps between the association’s policy and what you’ll personally be liable for without an individual HO-6 policy. Most people shop for the cheapest, fastest individual insurance policy and apply just enough coverage to meet the lender’s requirements, but that may put you at risk. To explain common gaps between master policies and HO-6 (individual condo) policies, I’d like to re-introduce Andrew Schlaffer, Vice President at USI Insurance Service’s Community Association Practice. Andrew is an expert in Master Insurance policies and has helped multiple local condo association’s reduce their cost and improve their coverage since writing a column on the topic last year. If you’d like to contact Andrew directly to review your association’s master policy, you can reach him at 703-205-8764 or [email protected]. The condominium insurance marketplace is facing challenges that will impact homeowners in 2019. Water damage is leading this list of challenges — according to the Insurance Information Institute, about one-third of homeowner insurance losses are caused by water damage and freezing. The DMV is home to many aging condo buildings that struggle with mitigating water damage losses and their impact on insurance. As water damage claims continue to rise and property damage costs increase, many insurance carriers are beginning to make changes to their coverage offerings that may increase your risk exposure. Question: I’m in the planning stages of a home renovation, what are some of the new trends in interior design — and what should I stay away from? Answer: Redecorating and home renovations are an exciting and fun task but you want to make sure you don’t make choices that date your home. 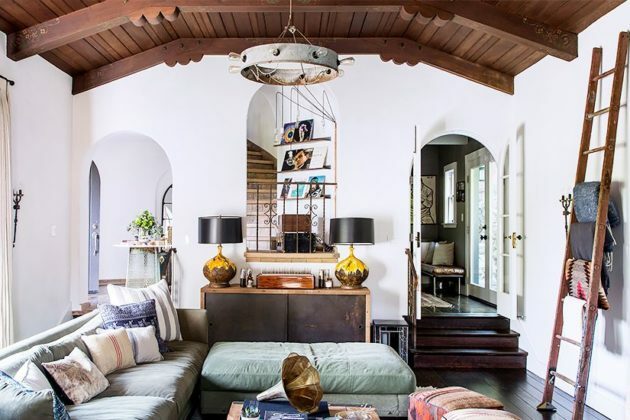 Each year designers and architects release their favorite new trends, including what to stay away from when undertaking a home makeover. 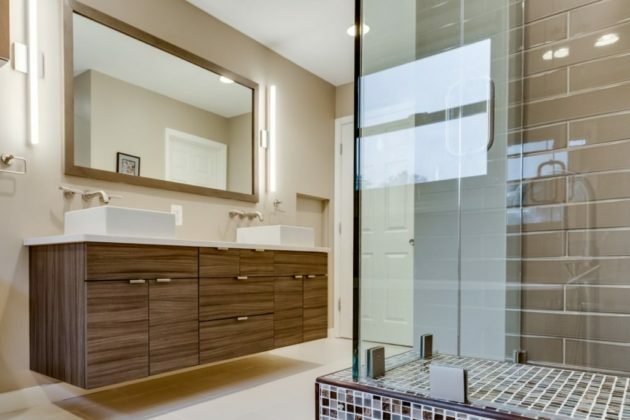 This week I have compiled the latest do’s and don’ts for kitchens, bathrooms and living spaces from Elle Décor, Houzz and realtor.com. Each year people in the design world await Pantone’s announcement for color of the year. 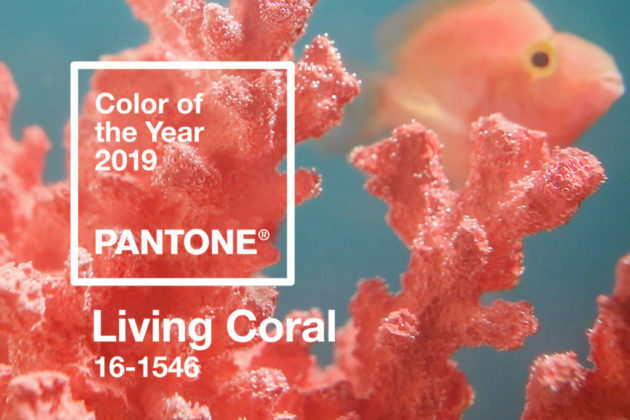 This year they announced the bright and fresh, Living Coral, but they are no longer the sole source for color trends. 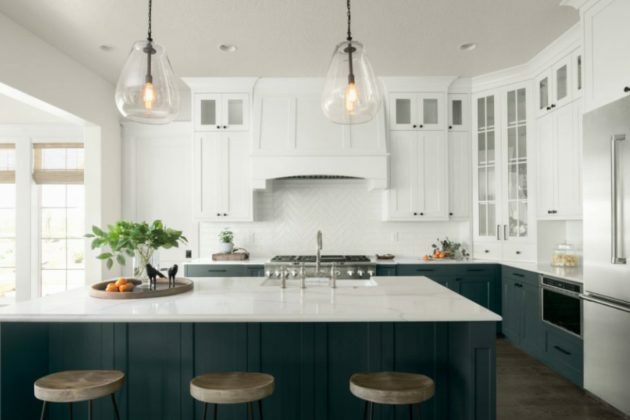 Recently other paint manufacturers started sharing their own selections for a color of the year, with Sherwin Williams choosing Cavern Clay and Behr announcing Blueprint. 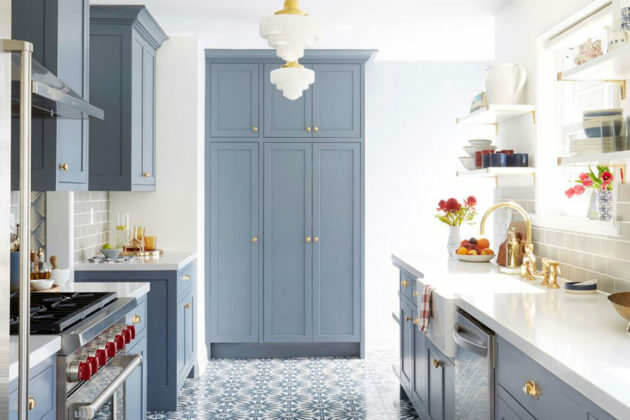 Blue Kitchens — Blue toned cabinets paired with brass or gunmetal hardware creates a warmer and more welcoming space. Black Kitchens — Black feels fresh and crisp and can be paired with a wide variety of hardware to accent. However, this does not mean the return of shiny black appliances! Most brands have introduced matte black or a dark stainless steel line. Two-tone Cabinets — Green/grey/blue bottom cabinets paired with white upper cabinets. Creating the warm and inviting feel of the blue-tone cabinets without going “all-in.” Should be paired with understated and simple hardware. Full Wall/Bold Patterned Backsplashes — Full-wall backsplashes are creating the ultimate statement kitchen. 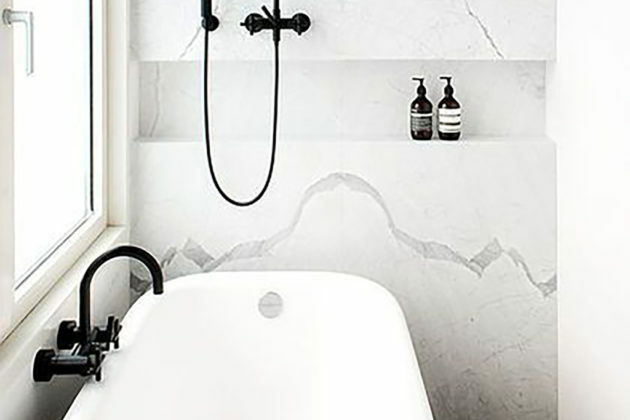 Especially when paired with a bold patterned tile. Industrial Kitchens — Send my apologies to Joanna Gaines, rustic concrete countertops and exposed shelving with iron pipes are on their way out. 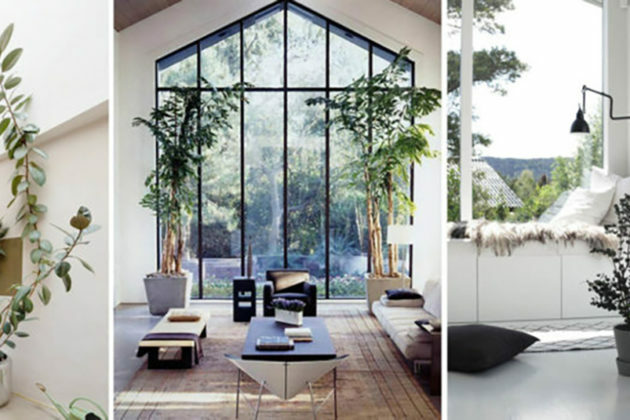 Solid White Countertops — With white walls coming back into style the white on white on white is almost blinding, especially when walking into a home with a lot of overhead lighting. Over-the-range Microwaves — Originally coming into the scene as a way for developers to cut costs on kitchen remodels, this was never meant to be a trend and its demise is long overdue. Instead go for a sleek and stylish range hood. Cherry Cabinets — The overall of these emerging trends seems to be brighter and lighter and cherry cabinets darkern a kitchen no matter what wall color or countertop you pair them with. Question: Do you have any details in the new condos being built in Courthouse at 2000 Clarendon? Answer: The Arlington market has been delivering about one new condo building per year over the last 8 years and will continue that trend with the introduction of 87 luxury condos at 2000 Clarendon, in the Courthouse neighborhood. Currently a hole in the ground, limited access pre-sales will start this week, with a projected delivery of spring 2020. 38 total 1 BR/1 BA units range in size from 627 sq. ft. to 739 sq. ft., priced from the upper $400s to mid $500s. The next jump is to a 1 BR +Den with 1.5 BA at 830 sq. ft., with 12 units starting in the upper $500s. The most popular units, and fastest to sell, will likely be the 2 BR/2 BA options, of which there are 31, ranging in price and size from the upper $600s to low $800s and 973 sq. ft. to 1,076 sq. ft., respectively. There are two 2 BR/2.5 BA floorplans, just six total units, with 1,362 sq. ft. and 1,739 sq. ft. Based on the floor plans I’ve seen, the dens are legitimate/legal 3rd bedrooms. These units are being offered from $1.1M to over $1.4M and are located only on the top three floors (Sky Suites). 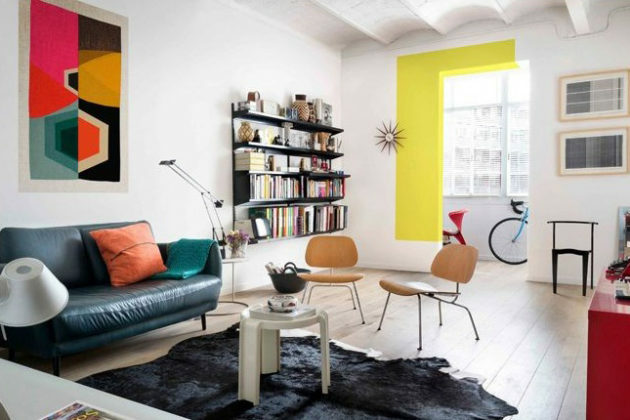 All units include one garage parking space. Additional parking and private storage are available for purchase. Given current market conditions, I think the 2 BR/2 BA units are the best value at these prices. However, I expect all floor plans to be in high demand. Over the last three years, there has been an average of 28 two-bedroom condos and 23 one-bedroom condos for sale in April in the 22201 zip code. 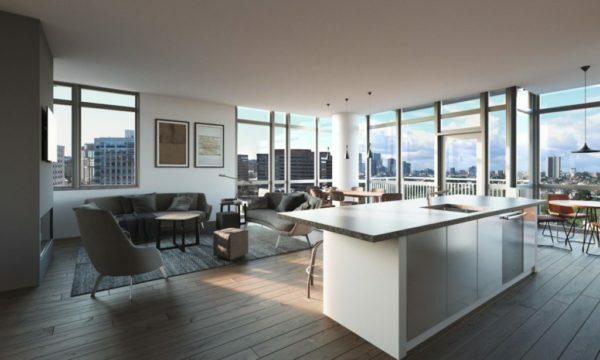 As of April 1 2019, there are only 11 two-bedrooms condos and 7 one-bedroom condos for sale in the 22201 zip code. I’ve been pretty disappointed in the bland exterior design of some recent condo and apartment buildings along the R-B Corridor, but kudos to the builder, The Bush Companies, for spending on improved architectural design and materials to make this building look sleek and modern. While condo fees are not finalized, the projected fees are quite reasonable compared to the rest of the market. 1 BRs top out at $350/mon and the 2 BRs at $500/mon. 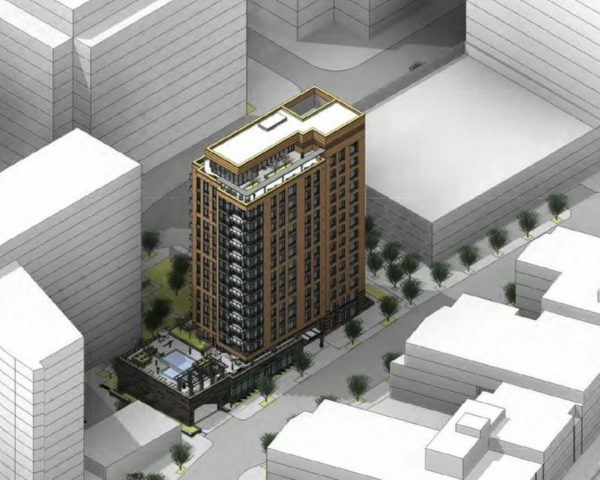 Who Is Building 2000 Clarendon? The Bush Companies is the developer/builder of 2000 Clarendon. The firm has developed and built seven condo and apartment buildings with over 2,100 total units in Arlington including well-known communities Station Square (Clarendon), Lexington Square (Virginia Square), The Park at Courthouse (Courthouse) and Windsor Plaza (Ballston). NoMa neighborhood of Washington D.C. 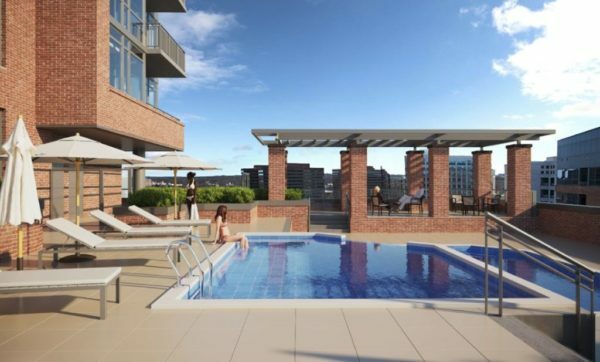 If you’re interested in learning more about 2000 Clarendon including access to floorplans, finishes and pricing or would like to reserve a unit during the limited access pre-sale period please email me at [email protected]. Question: Is it true that more people are choosing to rent than buy a home? Answer: I’ve certainly been hearing this theory for a while now too — people are foregoing the American Dream of owning their own home for the ease and flexibility they get from renting. That’s usually paired with some scary data about how Millennials only rent and are ruining everything (see my August 2018 column about this topic). While that trend was true for most of the last 10-12 years, it’s proven false over the last two years. On a National level, the US Census Bureau is reporting a third straight year in increased home ownership with 2018 being by far the largest growth we’ve had in home ownership since 2004. The numbers of renters dropped for a second year in a row, the first drop in National rental rates since 2004. I believe there are two main reasons why the trends have reversed course over the last two years. First, the majority of Millennials are finally of home-buying and settling down age and have had some time to build up a savings after taking on historically high amounts of student debt and graduating into a recessions/slow economy. I always laughed when I heard “experts” claim Millennials would never buy homes while most of them were under 30 and financially unprepared for a mortgage. The second reason is the strong economy we’ve witnessed over the last few years that has finally led to higher income. Better pay and more job security will always lead to higher rates of home ownership. 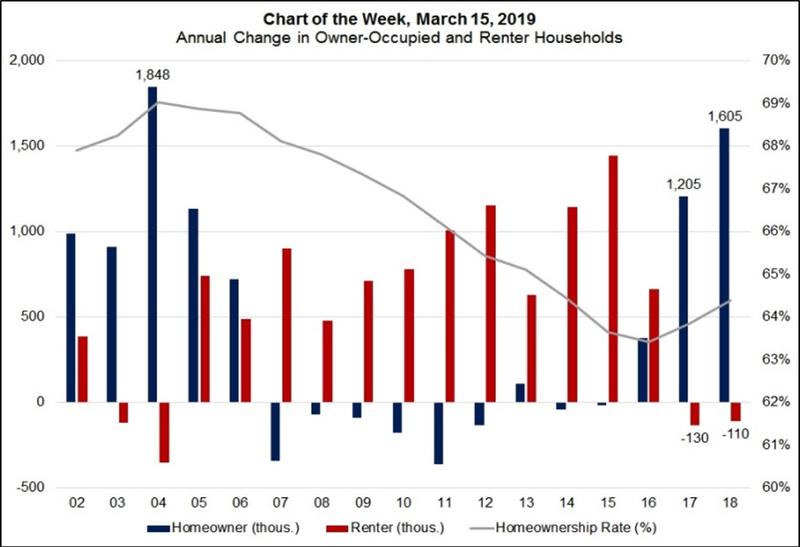 As of 2016, the home ownership rate in Arlington was just 44.2%; well below the National (63.6%), Virginia (65.8%) and Greater Metro Area (63%) average ownership rate. Arlington home ownership has only increased by .3% since then. I recently heard that 20% of Arlington’s population moves every year (most in the Country) so you can expect such a transient population to favor renting over ownership when compared to the rest of the country. Given how expensive it is to live in Arlington, I don’t see the ownership rate increasing much over the next five years, which is a good thing because there’s already nowhere near enough homes for sale to support the current ownership rate. Question: Has there been an increase in the number of homeowners putting their home on the market after Amazon’s decision to move to Arlington? Answer: For me, this was the big unknown — would the announcement of Amazon HQ2 cause homeowners to quickly put their homes up for sale to take advantage of a higher resale value or would those owners decide to hold on for the mid/long run, hoping for a much greater return 5-10+ years from now? The early data in Arlington and Alexandria suggests a preference for the latter. The easiest way to answer the question is to look at the Year-over-Year change in the number of new listings to hit the market each month. Over the last three months, the YoY difference in new listings in Arlington has been -11%, -18.4% and -13.9%. The City of Alexandria has followed a similar pattern. Months of Supply is a supply/demand reading that tells you how many months it would take for all the homes currently on the market (supply) to sell, given the current rate of sales (demand). Economists generally consider six months of supply to represent a well-balanced real estate market for both buyers and sellers. Arlington and the City of Alexandria have hovered around 2-3 months of supply for most of the past 6-7 years, having never dropped below the one-month mark for 10+ years… until December 2018, when the two combined to average about .75 months of supply each of the last three months. What Does This Mean For Northern Virginia? You can shield the Seven Kingdoms from White Walkers by stacking up all of the frustrated buyers searching in Arlington and Alexandria. Some may decide to pass on buying a home and continue renting, find a way to make their existing homes work, or move out of the area altogether, but many others will start to look further west for value (it’s there, trust me). Expect to see an immediate spillover into Annandale, Falls Church and Springfield; that shift has already started with many of our clients. Question: I’m hoping to purchase a home this year and wondering what types of inspections I’ll be able to do on the home before buying it and about how much they will cost. Answer: Most sales contracts include an Inspection Period (usually 3-14 days after an offer is accepted) for buyers to conduct various inspections of their choice on the property. Depending on how the contract is structured, buyers may have the right to negotiate for repairs or credits based on the findings and/or the right to terminate the contract. General Inspection: This is the most common inspection for buyers to conduct with costs ranging from about $300-$1,000 depending on the size, age and type of the home. A General Inspector is hired by the buyer and works for the buyer, not for the seller or the buyer’s agent. A general inspection is classified as a “visual inspection” of the surface, structural and mechanical components of a home like appliances, flooring, electrical, plumbing, foundation and other elements which includes running all mechanical components they can access. Your inspector cannot open up walls or floors and, in many cases, cannot climb on roofs. A good inspector will be able to identify many of the home’s flaws through the general inspection as well as identify any signs that further specialty inspections are needed (see below). Some inspectors carry high-end thermal readers to find evidence of moisture, poor insulation, or faults in the ductwork. After the inspection, you’ll receive a detailed report with photos, descriptions and recommendations of everything the inspection covered. An extra benefit of an inspection is that you’ll learn a lot about how your home works and property maintenance. Radon Testing: Radon is toxic gas from the ground that is known to cause cancer with prolonged exposure above certain levels (EPA website). Most homes in Northern Virginia have an average to above average risk of elevated radon levels and it is impossible to know without testing. Radon levels can vary widely from one house to another on the same block. I always recommend buyers test for radon if they have basement/below ground living areas (radon generally doesn’t impact above-ground levels). The test is relatively inexpensive ($150-$200) and most general inspectors can administer the radon test as well, which requires a small box to sit in the basement for 2-3 days. In the event of elevated radon levels, radon remediation systems are highly effective and usually cost about $1,000. Wood-Destroying Insect (WDI) Inspection: Around here this is primarily an inspection for termites or carpenter bees. With a cost of $50 or less it makes sense for buyers to order this for a purchase of a townhouse or single-family detached home (generally not necessary for a condo). Of note, the Northern Virginia Sales Contract requires sellers to cover the cost of any treatment or repairs related to WDI. This can usually be ordered with the general inspection or separately with a pest company. In some cases, it makes sense to bring in specialists for additional inspections. This may be on the recommendation of your General Inspector or for a number of other reasons. Ultimately, this comes down to a cost-benefit analysis by you and your agent because you can easily spend thousands of dollars on specialty inspections. The following is not an exhaustive list of specialty inspections, but those that tend to be the most common. Cost estimates do vary. Chimney Inspection (free-$200): A structural flaw in a chimney or a failing liner can be very expensive or unsafe if you plan to use the fireplace. A chimney inspection will include a scope of the interior of the chimney. Mold Testing ($150+): Ranges from air sampling to testing of a specific area with known mold. Lead Testing (varies): If you suspect lead-based paint or want to test for lead in the water. This is worth further discussion around lead and lead paint with your agent. Structural Inspection ($250-$1,000+): Settling and settlement cracks are normal, but signs of continuous or abnormal settlement warrant a visit from a structural engineer. A good General Inspector will be able to tell you whether or not further structural evaluation is recommended. Water/Sewer/Gas Line Inspection ($500+): The main lines connecting your water, sewer and gas from the public lines to your home are expensive failure points, with replacement usually costing $5k-$10k in addition to repairing any landscaping, driveway, etc torn up in the process. Tree roots are a common cause of damage. These inspections involve scoping of the entire line and get pretty expensive. An alternative to paying for these inspections is purchasing relatively cheap insurance through Dominion Energy’s insurance partner HomeServe. Electrical Inspection ($200-$500): If there are concerns over the quality of the electrical system/installation, you can hire an electrician for further evaluation. Plumbing Inspection ($200+): If there are concerns over the quality of the plumbing lines, you can hire a plumber for further evaluation and, for an additional cost, scope the plumbing lines. I usually recommend starting with the standard inspections and adding additional inspections as needed. If you want to include a bunch of specialty inspections in addition to the standard inspections, you’ll want to make sure your contract provides enough time in the Inspection Period to complete all of them and set that expectation with the seller up-front, especially if the home is occupied. Keep in mind that even with a full Inspection Contingency in place, with the right to negotiate for repairs and credits, there’s no guarantee that after paying thousands of dollars for inspections that the seller will agree to repair, replace, or credit everything you ask them to. Ask Eli: Tax Assessment vs List Price — Who Is Right? Question: I am interested in making an offer on a home, but the asking price is nearly $80,000 higher than the county’s tax value. Will I be overpaying if I offer over the tax assessment? Can I use the tax assessment to negotiate a lower purchase price? Answer: This is one of the most common questions I’m asked by clients early in the buying process. The fact is that the majority of homes are assessed below market value (sold price) and you should not rely on the county’s assessment to determine how much you’re willing to pay for a home. As for using it in negotiations, you should find any angle you can to negotiate a better deal for yourself so if pointing out the tax assessment helps you get a better deal, by all means go for it! However, don’t be surprised when the seller or the seller’s agent quickly dismiss it, especially if they’ve seen the data presented in this column (sorry). Let’s take a look at how Arlington county’s 2018 Tax Assessment Values compared to the actual purchase price of homes that sold in 2018. The table below is based on 689 of the ~3,000 total sales in Arlington from 2018. For some reason, the MLS doesn’t have updated 2018 tax assessments for most of the transactions hence a limited data set, but 689 data points are plenty. In 2018, homes in Arlington sold an average of 7.6% higher than their assessed value. By comparison, Zillow claims that their Zestimates have just a 3.3% margin of error in Arlington. Just 17.1% of homes sold for less than their 2018 tax assessment and only 8.3% sold for 5% or less than the assessed value. If you’re an Arlington homeowner, you should be happy to hear that you’re most likely paying taxes (.996% rate) on a value that represents less than what your home is worth. For those of you who are not happy with the assessed value of your home, every year you have an opportunity to appeal your assessment, but the burden of proof is on you, not the county, and it’s not easy even if you have solid data. Arlington provides an informative website on the appeal process. Your first appeal with the Dept. of Real Estate Assessments must be filed by March 1 of that year. Step 1: Call 703-228-3920 for information on how your assessment was determined. Step 2: File your appeal online here (First Level). Step 3: An assessor will visit your home and you can provide relevant info to make your case. Step 4: If you’re not satisfied with the decision or have not received written notice by April 1, file your second appeal with the Board of Equalization online here (Second Level) by April 15. Step 5: If you’re not satisfied with the decision, your final option for appeal is with the Circuit Court, which will likely require you to hire an attorney. Ask Eli: Too Many Real Estate Agents? Question: I’m a bit overwhelmed by the number of real estate agents claiming to be “Arlington experts.” How many real estate agents worked in Arlington last year? Answer: The residential real estate profession has one of the lowest barriers to entry of any industry. While there are a lot of great agents out there, dedicated to their profession and delivering real value to their clients, it’s easy for just about anybody with a couple of months to study and a couple thousand dollars to represent you in a real estate transaction. That’s why it’s important to ask your agent if they’re full-time or part-time, how they conduct business and about their professional background. An agent’s volume in Arlington isn’t the whole story. There are many great agents on this list who do most of their work outside of Arlington and there are quite a few agents who transact simply for their own investments. Most studies suggest that consumers are less concerned with measures like sales volume and more focused on the strength of communication and trustworthiness of the agent they’re working with. I’d love to hear whether you, as a consumer, consider transactions or sales volume a top three factor when choosing an agent. Interestingly enough, I often find that most people want to make sure their agent isn’t doing too much business and being spread too thin. While some may see the low barrier to entry and high volume of agents as a negative, it also means that you have a lot of choices as a consumer and, with some effort, can make sure that you’re working with somebody who will provide the type and style of service you’re looking for. It’s completely reasonable to interview multiple agents and the more you can express what you want from an agent, the better chances you’ll have at working with the right person. Ask Eli: Does Virginia, Washington DC, or Maryland Have The Most Favorable Taxes? Question: I recently got a job in the D.C. Metro area and will be moving to the area next year. I am open to living in Northern Virginia, Washington D.C., or Maryland and want to know which jurisdiction offers the most favorable taxation. Answer: Congratulations on your new job (Amazon HQ2?)! There must be a lot going on in your mind right now like whether you’re still young enough to offer your friends pizza and beer to help you move. 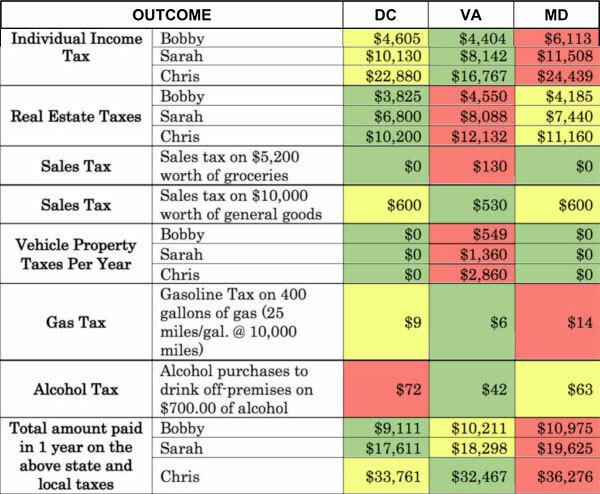 For years I’ve looked for a good resource to send clients in response to this question and couldn’t ever find it, so I reached out to my CPA, Klausner & Company located in Arlington, Virginia, who I highly recommend, to come up with a detailed yet simple chart to compare taxation between Virginia, Maryland and Washington D.C. across different incomes. So with that, I will turn this week’s column over to Chris Light and the tax experts at Klausner & Company, enjoy! First thing’s first, Virginia, Washington D.C. and Maryland all have reciprocity with each other. This means that if you live in one state and work in the other, you only have to worry about paying taxes and filing a tax return in the state that you live in. Bobby’s AGI is $85,000. Bobby has a vehicle valued at $18,000 and a home valued at $450,000. Sarah’s AGI is $150,000. Sarah has a vehicle valued at $35,000 and a home valued at $800,000. Chris’s AGI is $300,000. Chris has a vehicle valued at $65,000 and a home valued at $1,200,000. AGI, Adjusted Gross Income, is a term to describe a person’s income minus some specific deductions. Bobby, Sarah and Chris’ AGI are all based on salary earned by the end of 2018. AGI is used to determine taxable income, as seen in the ‘Math’ chart below. Taxable income determines which income tax brackets they fall in. For the full text of this column including summary of findings, how adjustments like renting and being married impact your tax position, and helpful reference tables please follow this link (don’t worry, I won’t ask for your email address, I just don’t have enough space here). Thank you very much Klausner & Company for finally providing people with an easy to understand breakdown of taxation in the DMV. For those of you in need of CPA services for yourself or your business, I am a loyal, happy client and I can’t recommend them enough. They provide specialize in tax services for individuals and small business and have over 40 years of experience in the Greater Washington area. Once you’ve taken advantage of the provided tax information and would like to talk about the non-tax related questions you have about where to live, please reach out to me at [email protected]. Our team has worked with buyers from all over the country and the world to find the right neighborhood and we’re happy to help you too. Question: Are you seeing people use Escalation Addendums in their offers now that the supply of homes has dropped? Answer: The use of Escalation Addendums in multiple offer situations is not new, but the frequency with which they are being used is. In the last three months over 25% of sales have been for over the asking price (another 24% have been for full ask). All-time low inventory levels + strong demand = price increases and a lot of competition from well-qualified buyers. In the last 24 hours our team has submitted three offers on properties with multiple offers that will no doubt sell for over the asking price. In many cases, using an Escalation Addendum is the best strategy for buyers and sellers so let’s take a look at what that means. What is an Escalation Addendum? An Escalation Addendum provides the maximum value a buyer will pay and an escalation factor, the amount their offer is to increase over the next highest offer. Sellers may use the escalation without further approval from the buyer, but they must deliver to the buyer the entirety of the contract used to escalate the accepted offer. Escalations are based on “Net Price” meaning purchase price less any seller credits. The obvious risk in using an Escalation is that buyers are exposing their maximum purchase price and some sellers may ask for that max, regardless of whether or not another offer allows them to get there contractually. There are strategies buyers can use to prevent a seller from doing this and, in my experience, most sellers use Escalations as they’re meant to be used. The other not-so-obvious problem is with non-financial differences between two contracts. The Escalation Addendum says nothing about differences in settlement date, contingencies and other non-financial terms that make a material difference between contracts (e.g. no Home Inspection Contingency vs full Inspection Contingency is treated equally in the Escalation Addendum). Escalations are best used when there are multiple confirmed offers and the seller has set a deadline for “best-and-final” offers. It’s important for buyers to establish expectations with the seller before they include an Escalation Addendum to maximize the benefit and reduce the risks. This is where having an experienced agent working for you can be the difference between making a smart decision and irresponsible one or securing a home and helping somebody else secure it. I strongly believe that with proper communication between sellers and buyers, Escalation Addendums benefit both parties by allowing the seller to draw out the highest available price for their home and allowing buyers to confidently maximize their chance of securing a home. Improper communication leads to a lack of trust and a lack of trust will almost always earn sellers less and may keep the most motivated buyer out of the home of their dreams. I can think of a recent example where a seller left 2% on the table by failing to communicate appropriately which compromised the trust of our client leading them to hold back on their offer terms. A lack of trust kept 2% out of the seller’s pocket and kept our client out of a home they loved. Being the winning offer amongst multiple offers isn’t always about price. Buyers need to focus on non-financial terms as well to set themselves apart and it’s important to understand how you can increase the strength of your offer without taking on excessive risk, but that’s a topic for another day. If you’re thinking about buying or selling a home and would like to discuss the right strategies in today’s market feel free to email me at [email protected] to set-up a meeting.